What's better than a Drake tour but not as good as a Young Money tour? If you guessed Drake and Lil Wayne going on tour together then you are either incredibly perceptive or you've been on Twitter at any point today. The summer tour is called Drake vs. Lil Wayne and that phrase has been trending ever since Drake announced the news on his Twitter because this is basically a dream come true. Well, all right, Jay Z and Beyoncé going on their first tour together was the dream come true, but Drake vs. Lil Wayne is a close second. If you have any money left over after splurging on your On the Run Tour ticket, throw that paper Drake's way. We all knew that Drake had to be planning something big due to the sheer number of singles he's been dropping lately, the most recent of which was "0 to 100/The Catch Up" which may or may not have told us that his next album is coming out in spring of 2015. We just didn't know that the something big was going to happen so soon. 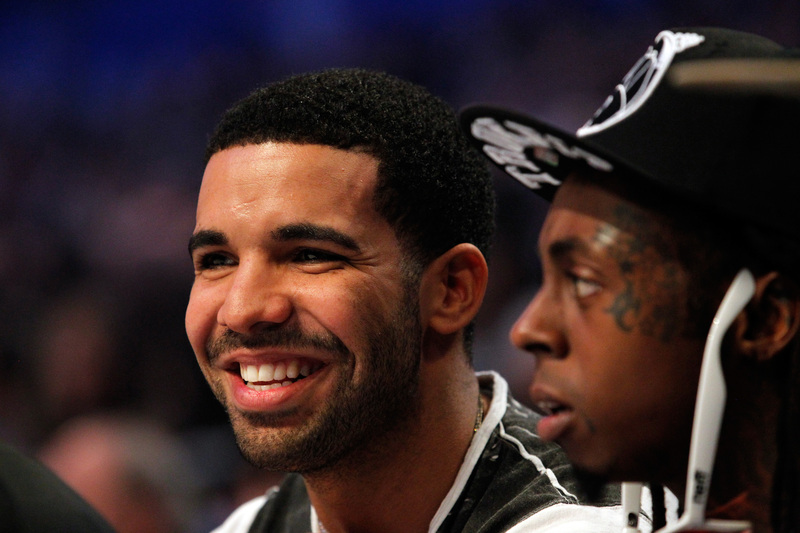 Drake and Lil Wayne are frequent collaborators and they've appeared on stage together before, usually with other Young Money artists, but time the two are co-headlining a tour together. Hopefully this means that they'll be performing side-by-side a la Jay Z and Kanye watching the throne as opposed to performing separate sets. However, just like the On the Run Tour, Drake vs. Lil Wayne has absolutely no love for the midwest states. The closest they come are a show in Indiana and one in Utah, so center staters will again find themselves springing for a plane ticket or for gas if they want to see these two hip hop giants perform together. Of course, the fact that Drake is co-headlining a tour of his own over the summer when Drake is in a semi-feud with Jay Z might raise a few eyebrows. But surely this tour isn't just another potshot at Jay Z, right? I mean, Jay Z is co-headlining with Beyoncé. You don't go up against Beyoncé, even just to get to her husband. That's a war you know you can't win. Tickets go on sale June 20. Check out the tour dates below.